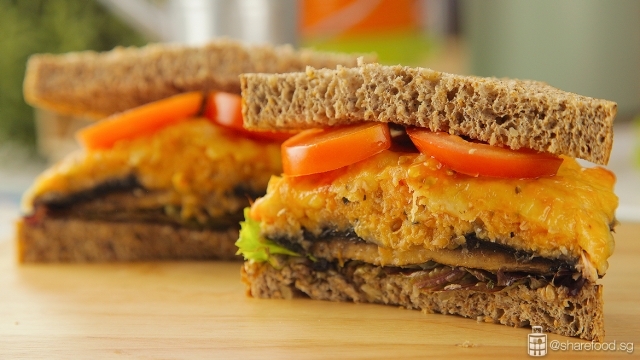 Stuffed portobello mushroom topped with melted baked cheese and sandwich between delicious wholemeal bread. 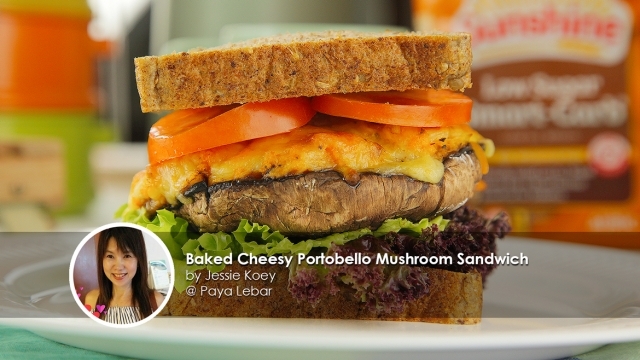 This Baked Cheesy Portobello Mushroom Sandwich recipe is shared by home cook Jessie Koey. 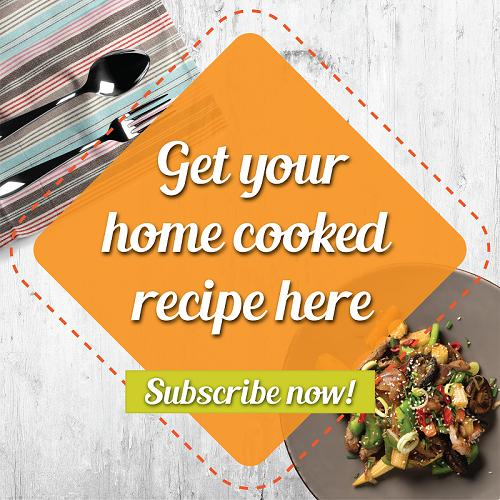 Jessie is a passionate home cook who shares and blogs about her signature recipes. This combo of hearty, baked cheesy portobello mushroom with stuffed salmon sandwich between delicious wholemeal bread is probably one of the best breakfast sandwich ever! This Baked Cheesy Portobello Mushroom Sandwich is made to have maximum impact on your taste buds and for the nutritional benefits. Each element is awesome, but it's the way they come together that brings it up a notch. 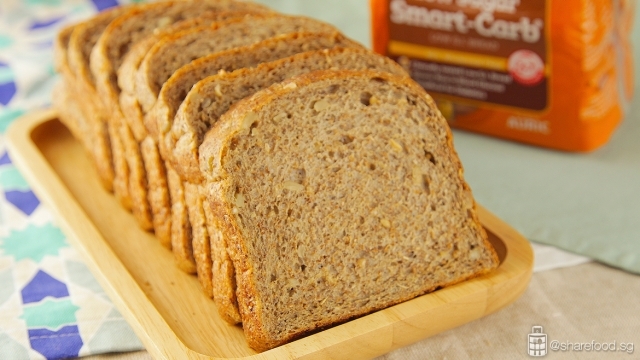 Starting off with the selection of bread: We chose Sunshine Low Sugar Smart - Carb ® Low G.I. bread. The bread has a distinct nutty flavour and is incredibly satisfying to eat. Starting off with the selection of bread. We chose Sunshine Low Sugar Smart - Carb ® Low G.I. bread as it baked with super grains and seeds such as oats, rye and flax seed. 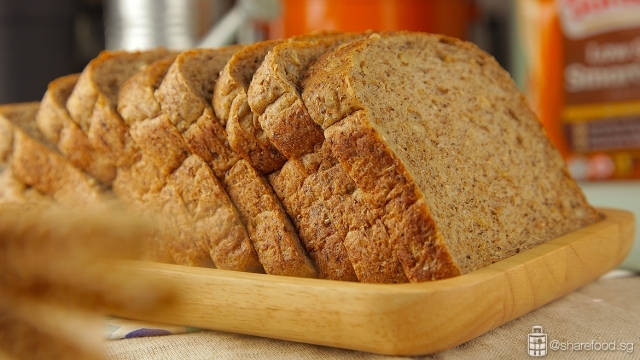 This gives the bread a distinct nutty flavour and is incredibly satisfying to eat. There are many nutritional benefits to eating Sunshine Low Sugar Smart - Carb ® Low G.I. bread. This bread has the lowest G.I. index of 37 amongst all packaged bread in the market. Food with Low Glycemic Index are digested in a slower pace and it supplies a low steady release of glucose (sugar) into the bloodstream. This also means you do not feel hungry easily and helps you to manage your weight. It is also great for people who have an active lifestyle as eating low G.I. food before exercise helps fuel working muscles. Sunshine Low Sugar Smart - Carb ® Low G.I. bread is also high in protein. Proteins are the essential nutrients to produce enzymes, hormones, neurotransmitters and various tiny molecules that serve important functions. Eating 2 slices of Sunshine Low Sugar Smart - Carb ® Low G.I. bread in the morning will cover ¼ of your daily protein requirement. It contains soluble oat fibre that lowers cholesterol and helps build immunity that fights cancer and infection. 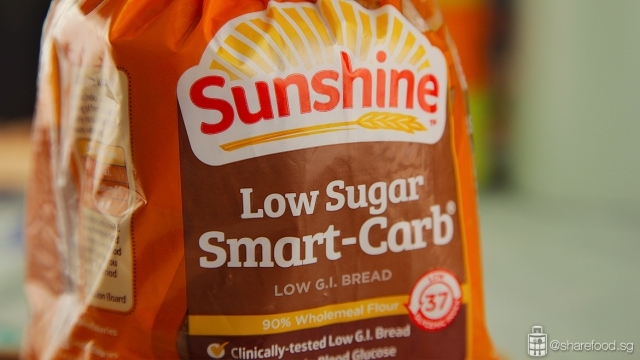 Sunshine Low Sugar - Smart Carb bread Bread is clinically tested low G.I. and is suitable for people with diabetes. We highly recommend this for individuals who are health conscious or are diabetic as it an excellent source of fibre and low in sugar. It's a great way to start the day by consuming low sugar food products as it helps to create a stable mood and energy level that leaves you feeling more bright and vital. Here's the trick to removing the fishy smell from salmon. Cook the salmon with milk! Next for the thick and juicy mushroom patty stuffed with salmon. 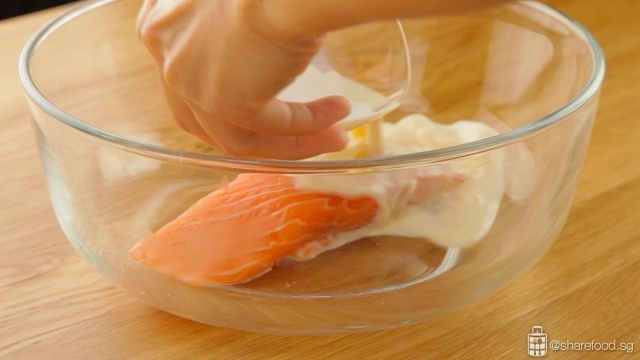 For the delicious patty, we're sharing the trick to removing the fishy smell from salmon. First, place the fish in a microwavable bowl and pour milk over it. Place cling wrap over and punch a few holes. Microwave till it is cooked through. By cooking salmon in milk reduces the fishy smell of salmon. Drain the milk away and mash the salmon with boiled potato and the remaining ingredients for the filling. Stuff the portobello mushroom generously with the filling and top it off with mozzarella cheese. Spread the filling generously on the portobello mushroom and top it off with mozzarella cheese. Bake till the cheese turns golden brown. 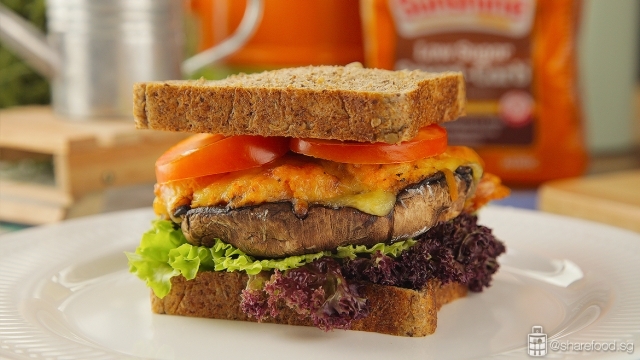 Build the sandwich with a slice of Sunshine wholemeal bread, coral lettuce, baked portobello mushroom, tomatoes and cover it with another slice of bread. Assemble the sandwich and it's ready to be served! This Baked Cheesy Portobello Mushroom Sandwich can be breakfast, lunch, a snack or a late-night meal. It's also great alongside a simple green salad for dinner. A hearty nutritious sandwich with all the flavours and texture you've been looking for! A hearty nutritious sandwich with all the flavours and texture you've been looking for! Boil the sweet potatoes for 25 mins till it is soft enough to be mashed. By boiling the sweet potato helps to reduce the GI as compared to steaming or baking it. Switch off the fire and leave inside the pot with water till it’s ready to be used. Place the mushroom on the baking sheet. Remove the stem of the mushroom, rinse and pat dry. Dust some corn flour on the mushroom. Set aside. Place the salmon in a microwaveable bowl. Pour milk over it. Cling wrap and punch a few holes. Microwave for 3 mins or until the salmon is cooked through. By cooking salmon in milk helps to reduce the fishy smell of salmon. In a large bowl, place salmon and add in the boiled potato as well as the remaining ingredients for the filling. Mash the ingredients using a fork and mix evenly. Scoop 1 portion of the filling and spread it generously on the mushroom. Baked for 15 – 20 mins on the middle tray or until the mushrooms are cooked and the cheese turns golden brown. Here's a baking tip for gorgeously baked cheese, transfer the tray to the top to brown the cheese. 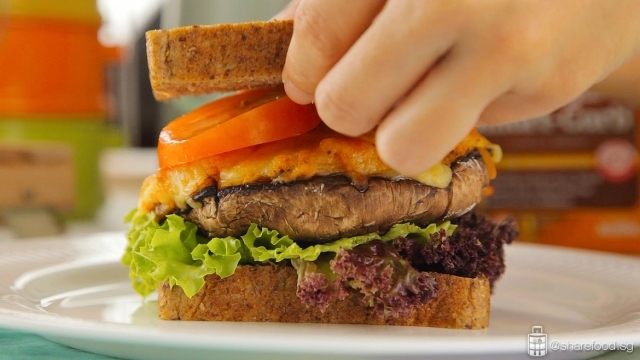 Build this Baked Cheesy Portobello Mushroom Sandwich with a slice of Sunshine Low Sugar Smart-Carb bread, coral lettuce, baked portobello mushroom, tomatoes and cover it with another slice of bread.